Nadiya did not know about attempts to detain her sister Vira in Russia. Ukrainian officer and MP Nadiya Savchenko, who was sentenced to 22 years in prison, has filled all the documents for extradition but refused to admit her guilt. Interfax quoted lawyer Mark Feygin as saying that Nadiya agreed to pay a fine for allegedly trespassing the border, however she insists that she was abducted from Ukrainian territory. "Nowhere in the filled papers did Nadiya admit her guilt. However she agreed to pay a fine of 30,000 Russian roubles ordered by court for her alleged trespassing of the border, however she noted that she had been illegally driven out of Ukrainian territory," the lawyer said. 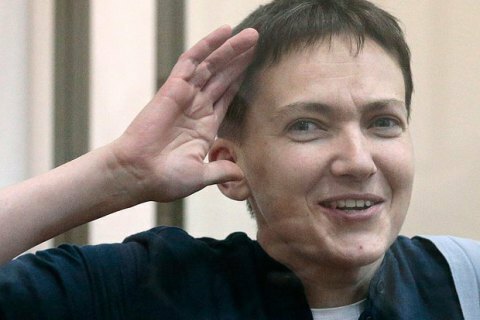 According to her other lawyer Mykola Polozov, Savchenko feels better but her recovery after dry hunger is slow. He added that she did not know that attempts were made to detain her sister Vira in Russia and was outraged. She made a statement on the matter, in which she described a search warrant for her sister as "a flagrant crime by the Russian justice against the Savchenko sisters". Polozov added she would meet her again on 11 May. On 27 April, Savchenko's lawyer Ilya Novikov said that Nadiya may be sent to Ukraine in the second half of May.